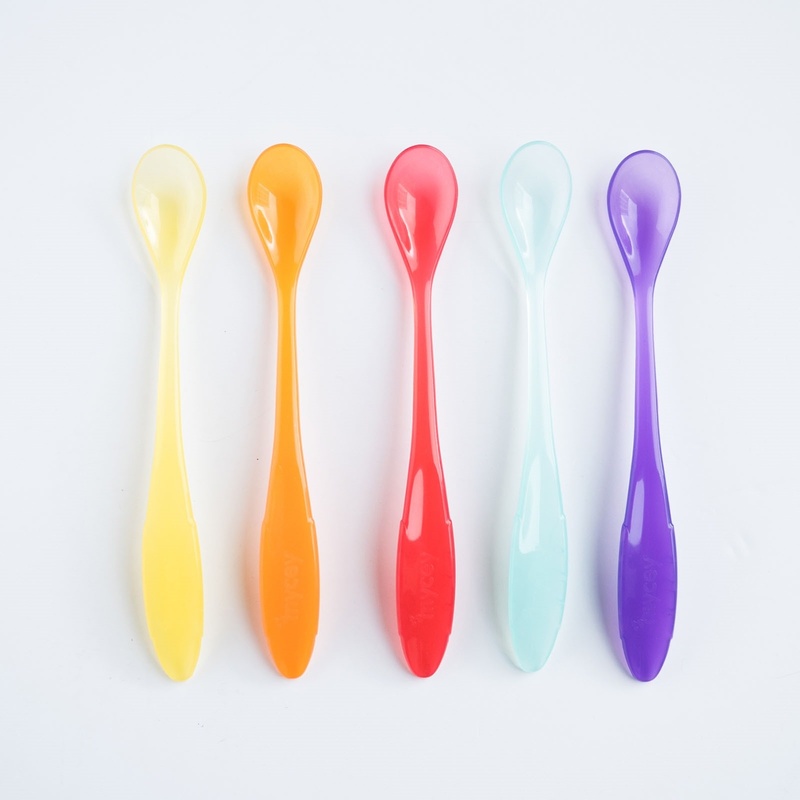 Ergonomic shape and slippery texture allow the spoon to move smoothly on the plate. 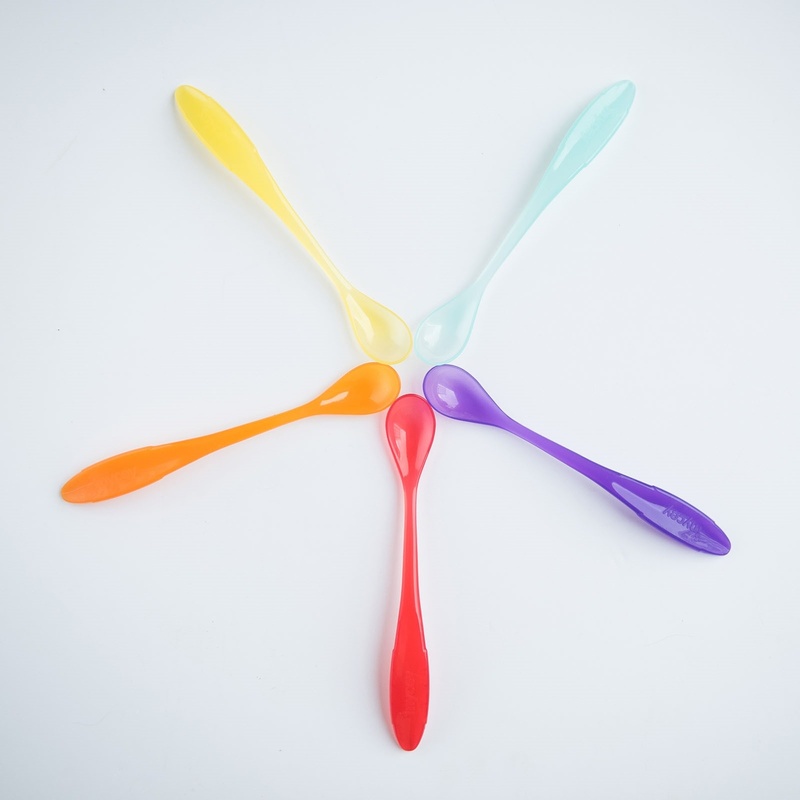 Long-handled spoons allow parents to easily grasp the spoon and reach the bottom of baby food containers. 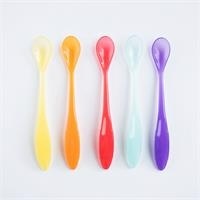 Purpose and Benefit: Round, soft spoon edges are suitable for the baby's sensitive gums. It provides ease of use even in deep jars with its long handle. Ergonomically designed handle is very comfortable to grip. 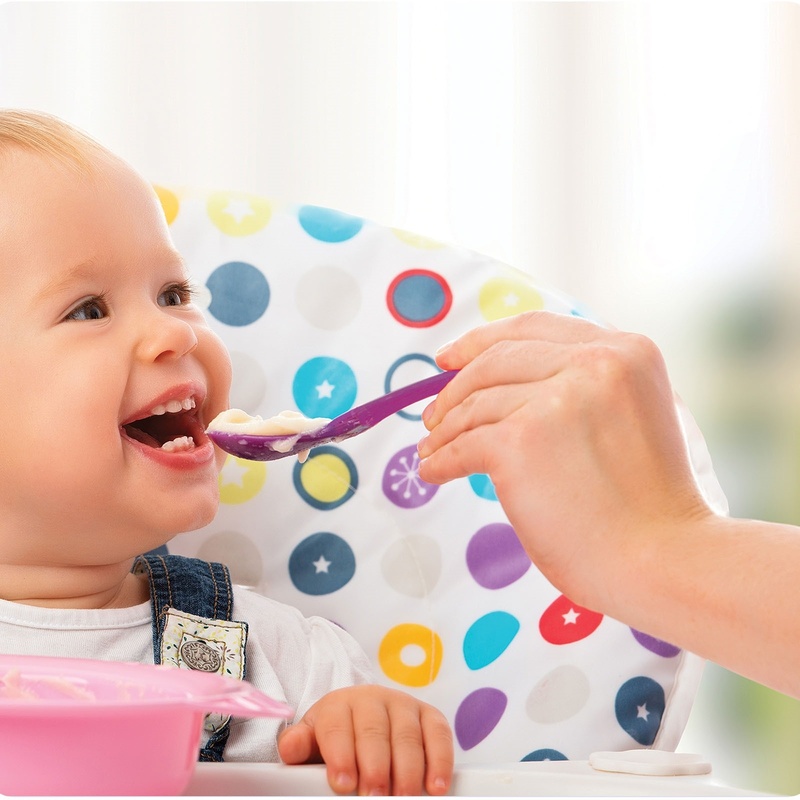 Cleaning Information: Wash and rinse with soap and warm water before first use. Package Contents: Includes 5 pieces bright and fun colored spoons.